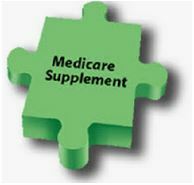 Do you Need a Medicare Supplement Plan (Medigap Policy)? Do you need to get a Medicare Supplement Plan? Our recommendation is to enroll in a Medicare Supplement plan (Medigap policy) because it gives you peace of mind from the financial exposure of Original Medicare out-of-pocket costs (it can be significant!). Naturally, do it only if you can afford the Medigap premium. Note, however, that you may not need a Medigap insurance policy if you have other coverage, such as an employer group health insurance. When is the ideal time to enroll? 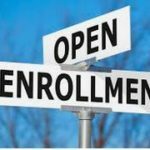 The best to enroll in a Medicare Supplement Plan is during the Medicare Supplement Open Enrollment Period. It is the six-month period after you’ve applied for Medicare Part B. During this period, the insurance company cannot deny you any insurance policy it sells, cannot delay your coverage, and cannot raise their rates based on your medical history. If you apply for a Medigap policy after the Open Enrollment Period, insurance companies in most states may use medical underwriting to decide whether to accept your application, raise your rate, and/or impose a pre-existing condition waiting period. Under certain circumstances, you entitled to Guaranteed Issue Rights. If you are allowed to Guaranteed Issue Rights, you are guaranteed to qualify to buy a Medigap policy without medical underwriting. Liberty Medicare is here to help you during all the stages of comparing, selecting and enrolling into the preeminent and most suitable Medigap Plan for you. All our services are entirely free to you! If you are looking for Medigap coverage, let us help. To view accurate quotes from Medigap plan providers fill out our Medicare Supplement Quote form, or give us a call at 877-657-7477.